Situated on the popular Badgers development, four bedroom semi detached family home with garage and driveway to the side. The property benefits from being within catchment and walking distance to Bourton Meadow Academy, and both Buckingham Secondary & Royal Latin Schools. 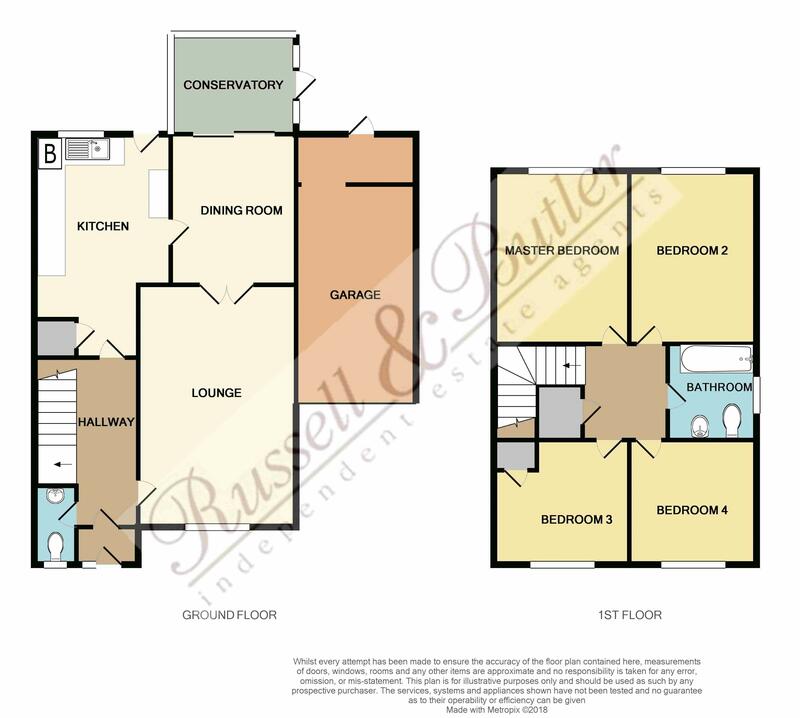 Accommodation: Entrance porch, entrance hall, ground floor cloakroom, sitting room, dining room, kitchen, conservatory, first floor landing, four bedrooms and family bathroom. Fully enclosed garden to the rear. No Onward Chain. EPC Rating D.
Stairs rising to first floor, dado rail, radiator. Suit of low level w/c, wall mounted wash hand basin, tiling to splash areas, radiator, Upvc double glazed window to front aspect. Upvc double glazed and brick built, radiator, Upvc double glazed door to rear garden. Fitted to comprise inset one and a quarter stainless steel sink unit with mono bloc mixer tap, cupboard under, wall mounted 'Potterton' gas fired boiler serving both domestic hot water and radiator central heating, ceramic tiling to splash areas, range of wall and base units, work tops over, radiator, under stairs storage cupboard, Upvcv double glazed window to rear aspect. Airing cupboard housing hot water tank, access to loft space. Builtin in single bed and storage under, radiator, Upvc double glazed window to front aspect. Coloured suite of panel bath with shower over, wash hand basin, low level w/c, full and half height tiling to walls, Upvc double glazed window to rear aspect. Designed for easy maintenance, fully enclosed by panel fencing,gated side access. Single garage with up and over door, light and power, eaves storage space, personal door to rear garden.